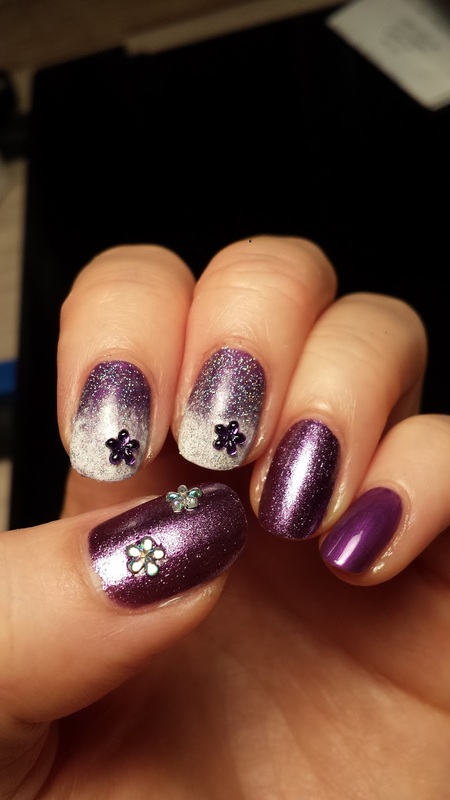 This is a snowy effect ombre/gradient purple manicure with fairy dust glitter! I didn't really plan before making this nailart and I just made up the design as I go! The base color was a shiny purple by NYC. 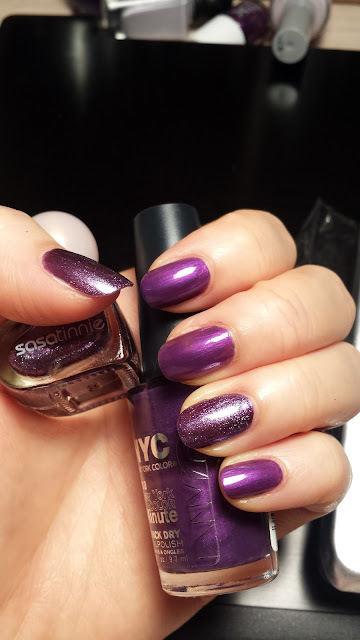 They are so affordable and this color applies very nice! 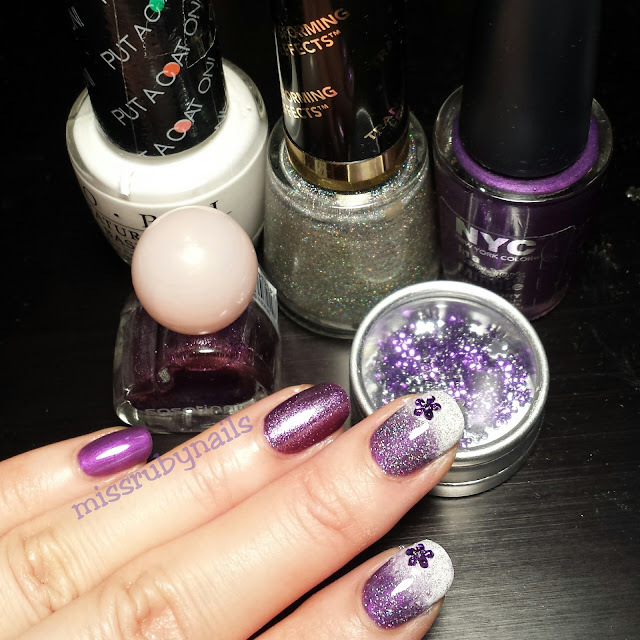 On the thumb and fourth fingers, I used another glittery purple just to mix it up a bit. I then used a sponge to sponge on a white polish on the 2nd and 3rd nail tips to make a ombre/gradient look. 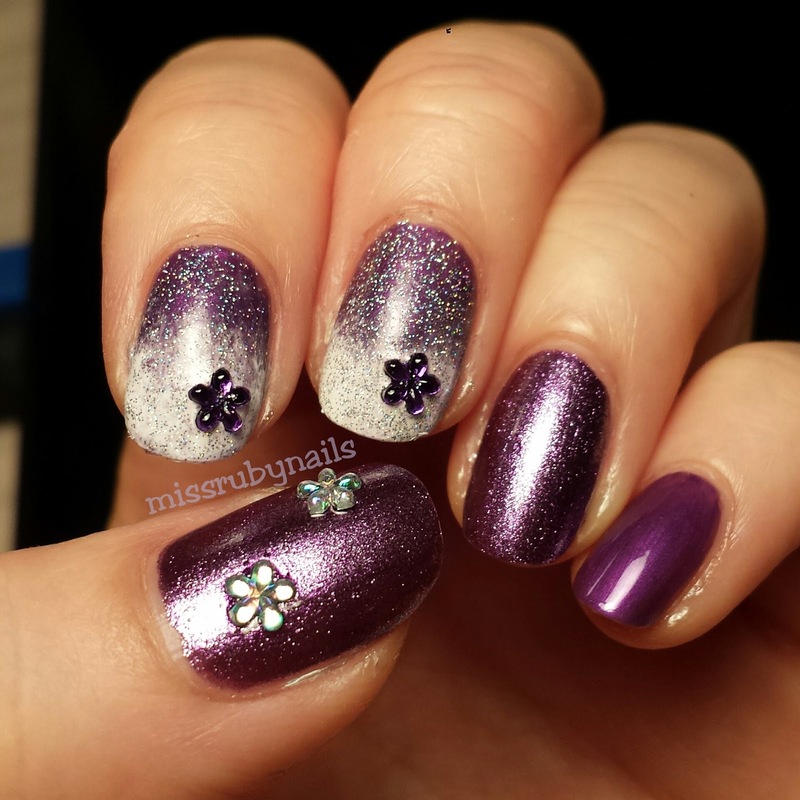 Then I applied a fine silver glitter "fairy dust" over the ombre and added some floral nail jewels!